This pack includes 26 printables that can be used for morning work, centers, homework, or as an assessment. There is one page per letter. 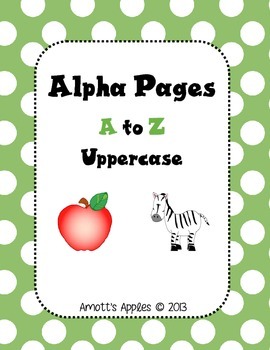 •	CCSS.ELA-Literacy.RF.K1d - Recognize and name all upper and lowercase letters of the alphabet. 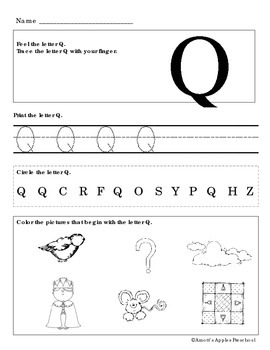 •	CCSS.ELA-Literacy.RF.K.3a - Demonstrate basic knowledge of letter-sound correspondences by producing the primary or most frequent sound for each consonant. 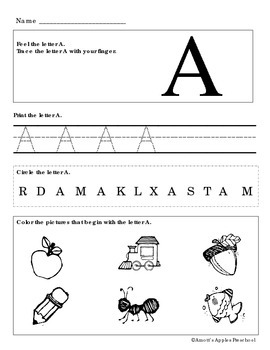 •	CCSS.ELA-Literacy.L.K.1a Print many upper and lowercase letters.